Snoring is common for just about everyone. 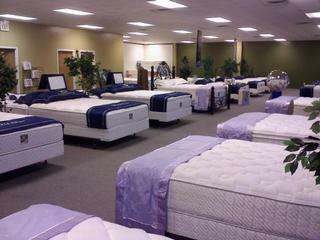 Some people will snore even with the finest beds, linens, and mattresses from their local mattress stores in Los Angeles. While it’s not usually something to worry about—unless it disrupts the sleep of bed partners—frequent snoring can be a sign of sleep apnea, a much more serious disorder that too often goes unrecognized. Sleep apnea is a common disorder wherein breathing is briefly interrupted or becomes shallow during sleep. Pauses in breathing can last 10 to 20 seconds and happen hundreds of times in one night. Aside from the snoring, sleep apnea can disrupt normal sleep rhythms, causing you to spend more time in light sleep and less time in deep sleep, which is the restorative stage you need to feel energetic and well-rested in the morning. Let’s take a closer look at sleep apnea and some potential treatments. Central sleep apnea: This is a less common version of sleep apnea that is caused by the central nervous system as opposed to an obstructed airway. This form of sleep apnea occurs when the brain fails to signal the diaphragm and chest muscles responsible for making you breathe. Unlike other forms of sleep apnea, people with central sleep apnea rarely snore. This type of sleep apnea is common among those over the age of 60. Obstructive sleep apnea: The most common form of sleep apnea, obstructive sleep apnea occurs when the uvula and the muscles in the soft palate and base of the tongue relax, blocking your airway and eventually causing you to stop breathing. The diaphragm and chest muscles strain until they finally break through in the form of a snore. Complex sleep apnea: Complex or mixed sleep apnea is a combination of both central and obstructive sleep apneas. Identifying sleep apnea on your own is difficult considering most of the major symptoms occur when you’re sleeping on your organic mattress. You may have to record yourself sleep or have your roommate or bed partner observe your sleep habits. Sleep on your side. When you sleep on your back, gravity makes it easier for your soft tissues and tongue to sag and obstruct your airway. Prop up your head. Prop your head up by four to six inches or elevate our body from the waist up using a foam wedge or cervical pillow, which can be found in most any bedroom furniture store. Use a nasal dilator, neti pot, breathing strips, or saline spray to open up your nasal passages at night. Keep yourself from rolling onto your back by sewing a tennis ball into the back of your pajama top or wedge a small pillow stuffed with tennis balls behind your back. The discomfort of a lumpy tennis ball will force you to return to your side. For moderate to severe cases of sleep apnea, consult a sleep doctor. A specialist can treat the underlying condition or provide you with supplemental oxygen or breathing devices.